Vesta--Is it Really an Asteroid? Libya - Kosovo, Are there parallels? Thorium: Rare Earth Liability or Asset? One more war, and guess who's paying for it? Oh - Ohh, It's not over yet! You've earned your bone - you hound dog you! On March 29, 1807, German astronomer Heinrich Wilhelm Olbers spotted Vesta as a pinprick of light in the sky. Two hundred and four years later, as NASA's Dawn spacecraft prepares to begin orbiting this intriguing world, scientists now know how special this world is, even if there has been some debate on how to classify it. Many astronomers call Vesta an asteroid because it lies in the main asteroid belt between Mars and Jupiter. But Vesta is not a typical member of that orbiting rubble patch. The vast majority of objects in the main belt are lightweights, 100 kilometers wide or smaller, compared with Vesta, which is a 530 kilometer-wide behemoth. The production of rare earth oxides comes attached with a major problem: radioactive waste. The mining of the rare earths and the processing of the various elements produces large amounts of thorium as a byproduct. This material is radioactive and dangerous to human health. In China, lax environmental laws have allowed the country to build a monopoly in the market. However, now the country is looking to mitigate environmental damage from the production of rare earths, shutting down small mining operations, and raising environmental standards. This has had a dramatic effect on the price of these elements, which is why western companies are looking to produce on their deposits. One such company, Lynas Corporation (ASX:LYC) is building a processing plant in Malaysia that is coming under fire as concerns about the disposal of thorium and the effects on the local population mount. There is a possibility that this liability could become a resource of rare earth mining companies, as thorium can be used as fuel for nuclear power. One seldom mentioned fact by western politicians and media pundits: the Central Bank of Libya is 100% State Owned. The world’s globalist financiers and market manipulators do not like it and would continue to their on-going effort to dethrone Muammar Muhammad al-Gaddafi, bringing an end to Libya as independent nation. 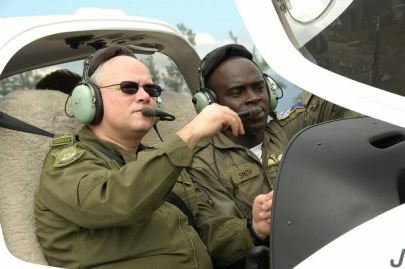 NATO'S FALL GUY: Lt. Canadian General Charles Bouchard will be running the Libyan shop floor for the US, UK and France. "I spent a week capturing one of the biggest aurora borealis shows in recent years. Shot in and around Kirkenes in Northern Norway and Pas National Park bordering Russia, at 70 degree north and 30 degrees east. Temperatures around -25 Celsius. Good fun. Visit my Facebook page tesophotography.com for more information." Saturday evening, the 19th, after a sumptuous banquet, NATO leaders ordered the attack on Libya. Of course, nothing could occur without the United States claiming its irrefutable role as supreme leader. From its command post of that institution in Europe, a senior official declared that “Odyssey Dawn” was about to begin. World public opinion was deeply touched by the tragedy in Japan . The number of victims of the earthquake, the tsunami and the nuclear accident has kept on growing. By now there are thousands of dead, missing and radiation contaminated. Resistance to the use of nuclear energy will also grow considerably. The world is suffering, at the same time, the consequences of climatic changes; shortages and prices of foods, military spending and the squandering of natural and human resources are increasing. War was the timeliest event that could happen at this time. Obama’s trip through Latin America moved into the background, people were hardly paying any attention to it. In Brazil , the contradictory interests between the United States and this sister nation have become evident. We cannot forget that Rio de Janeiro competed with Chicago to host the 2016 Olympic Games. Obama wanted to win over the South American giant. He spoke of the “extraordinary rise of Brazil ” that has impressed the international scene and he praised its economy as one of the economies with the fastest growth rate in the world, but he showed not even the least commitment in supporting Brazil as a permanent member of the privileged Security Council. This is not a humanitarian operation. The war on Libya opens up a new regional war theater. There are three distinct war theaters in the Middle East Central Asian region. Palestine, Afghanistan and Iraq. What is unfolding is a fourth US-NATO War Theater in North Africa, with the risk of escalation. These four war theaters are functionally related, they are part of an integrated US-NATO military agenda. 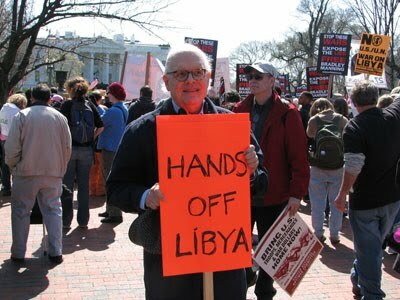 The bombing of Libya has been on the drawing board of the Pentagon for several years as confirmed by former NATO commander General Wesley Clark. Operation Odyssey Dawn is acknowledged as the "biggest Western military intervention in the Arab world since the invasion of Iraq began exactly eight years ago." 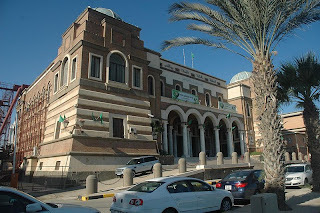 (Russia: Stop 'indiscriminate' bombing of Libya - Taiwan News Online, March 19, 2011). This war is part of the battle for oil. Libya is among the World's largest oil economies with approximately 3.5% of global oil reserves, more than twice those of the US. The underlying objective is to gain control over Libya's oil and gas reserves under the disguise of a humanitarian intervention. The geopolitical and economic implications of a US-NATO led military intervention directed against Libya are far-reaching. Outgoing Prime Minister Stephen Harper is expected to visit the residence of the governor general on Saturday to dissolve the parliament [EPA]. NEW YORK -- Silver and gold prices are climbing as developing crises from Portugal's financial problems to uprisings in the Middle East are prompting investors to buy more stable assets. Silver for May delivery rose 92.9 cents, or 2.6 percent, to settle at US$37.198 an ounce. 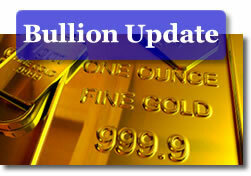 Gold for May delivery gained US$10.40 to settle at US$1,438 an ounce. Portugal's minority government neared collapse as lawmakers were poised to vote against its proposal for more austerity measures designed to avoid a bailout. The political upheaval could lead to more turbulence for the 17 nations that use the euro. Meanwhile, speculation lingered about supply disruptions in the oil-rich region of the Middle East and North Africa as uprisings continued in a number of countries, including Libya. Investors are nervous as they wonder how those events will play out. That has supported precious metals, which have the reputation of being safer assets to hold during uncertain economic times. “There has been a large demand for safe-haven commodities of late,” said Dave Meger, vice president of metals trading at Vision Financial Markets. In other trading, metals used in manufacturing rose on expectations of continued robust demand from emerging markets, particularly China and the rebuilding of Japan after the devastating March 11 earthquake and tsunami. May copper added 11.55 cents to settle at US$4.4285 a pound, April platinum rose US$20.60 to settle at US$1,760 an ounce and June palladium gained US$11.45 to settle at US$749.30 an ounce. The red lines show the growth rate of the emerging economies, on an annual basis and on trend. The forecasts are from the IMF. The strengthening in emerging market growth since the late 1990s is very pronounced, and is exactly what everyone would expect. The blue lines show the GDP performance of the developed economies. Not only have the growth rates of the developed world fallen relative to the emerging countries since the late 1990s, they have actually fallen in absolute terms as well. Vulpes zerda is a little fox with big ears. While fennec foxes may look like anime characters, they actually hail from the Sahara Desert, where many of their more fetching features also function in keeping them alive in the harsh climate. How can you get yourself one? We’ll talk about that in a minute. Today, Canadian fighter/bombers blew up a target in Libya. Another war in the making. Serving whose interests...? I am a former senior Canadian Government Trade Commissioner with extensive experience in the Middle Ëast and in Libya where I was the first Canadian official to establish substantial business relations with the Revolutionary Government in the early 1970's. As with most Arab regimes of the Middle East, the new government in Libya saw Canada as her trading partner of choice, partly because we could provide modern technology but primarily because we were free of any imperialist image. In Libya, as in the Middle East, I was able to negotiate in principle substantial concessions and industrial projects including a 50% interest in a very large producing oilfield (Kufra) and a joint exploration partnership with the Libyan National Oil Company, among other joint ventures. Although these agreements would have earned potentially many billions of dollars for the Canadian participants, I was denounced in Ottawa on political grounds for my achievments and threatened with dismissal. My recommendations were rejected by the the Lobby-driven Liberal government of the time (paradoxically my paymaster) who blocked consummation of the agreements. The Libyans then turned reluctantly to our competitors, including, ironically, the former Imperial powers they had so keenly sought to displace. Libya still holds good prospects for Canadian earnings but will no longer look on Canada with favour if we are seen to have joined the brutal, illegal and unjustifiable interference in her internal affairs. Such shocking treachery by Canada is not only a violation of the sovereignty of a small friendly, peaceful, defenceless nation but is also an inexcusable violation of traditional Canadian diplomacy which earned us our valuable - now-sullied - reputation as an "honest broker".among the nations. Furthermore, it is mendaciously disingenuous to rationalize the attack on Libya by speciously claiming that the leader is a self-serving "tyrant" growing rich at the expense of his subjects. In fact, Col. Ghadafi has been a "Man of the People" to a greater extent than any other Arab leader and has consistently used the country's oil revenue to their advantage, to which thousands of Libyan students receiving higher education in Western universities can attest. In a popular vote, the Libyan leader surely would fare far better than his hypocritical counterparts in the Western democracies, including our current Prime Minister. The hard truth, Mr Cannon, from which it appears you have been hermetically sealed, is that participation in the military bullying of Libya is an unprecedented betrayal of Canada's best interests. It will diminish our earnings, self-respect and security. It will create distrust and enmity among those who would be our friends. This is not sound foreign policy. I strongly recommend that you examine both the credentials and bona fides of those who have persuaded you and your colleagues to betray our country's best interests, and that you investigate both their unCanadian motives and (most-likely-alien) affiliations. A special meeting of the IAEA Board of Governors convened on 21 March 2011 to discuss the IAEA Director General Yukiya Amano's report on his visit to Japan from 17 to 19 March 2011, related to the accident at the Fukushima Daiichi nuclear power plant. At a midday press conference during the Board's meeting, Director General Amano stressed that the situation at the Fukushima Daiichi nuclear plant remained very serious. He went on to say that the IAEA's radiation monitoring team, which has been measuring radiation levels in Japan since Saturday, 19 March 2011, took readings as close as 16 km away from the nuclear facility and found high levels of radioactivity. Official Japanese measurements showed radioactivity in drinking water, food and milk at a number of locations in excess of accepted regulatory limits. Editor: Using a proton beam to generate neutrons which excite Thorium to produce energy represents a quantum leap forwards in nuclear power generation: No more runaway nuclear reactions, minimal waste and the ability to burn up dirty nuclear fuel from other reactors. This video is an eyeopener to a new energy future. This lecture in the 2010/11 Vice-Chancellor’s Lecture Series is given by Professor Robert Cywinski, Dean of Applied Sciences at the University of Huddersfield. Professor Cywinsky speaks on "Towards an Alternative Nuclear Future". Bob Cywinski graduated with a PhD from the University of Salford in 1976, and embarked upon a research career in neutron scattering and µSR studies of magnetic and superconducting alloys and compounds. In 1980, following research fellowships at Imperial College, London, and Monash University, Melbourne, he joined the small team that built ISIS, which for 20 years was the world’s most powerful neutron spallation source, at the Rutherford Appleton Laboratories. In 1985 Bob was appointed as Lecturer in Physics at the University of Reading, and in 1994 became Professor of Natural Philosophy at the University of St Andrews. From 2000 to 2008 Bob was Professor of Physics and Dean of Research for the Faculty of Maths and Physical Sciences at the University of Leeds, before moving to the University of Huddersfield where he is Dean of Applied Sciences. Cotton is one of many commodities that are showing major price inflation tendencies.That means that a dollar buys less of just about everything. So it makes sense to buy something that will hold its value in relation to basic commodities over time, rather than stashing away increasingly useless dollars or other fiat (make believe) currencies. Editor: The price of silver today is $36/oz. See article below. Silver is increasingly becoming a global monetary metal, mostly due to inflationary concerns and the debasement of the world's major currencies. And that's the main driver for silver's surging bull market, according to some key players in the precious metals investment sector. Rising inflation in China and India, as well as Europe's ongoing sovereignty debt crisis, are major contributors to gold and silver reverting back to their traditional "safe haven" status, according to New York-based James Steel, a precious metals analyst for HSBC Securities. Helen Thomas on CNN Joy Behar "Jews are NOT semites, most of them came from Europe"
In space, a piece of orbiting junk the size of a cherry collides with the force of an exploding grenade. Holger Krag at Esa's Space Debris Office – which monitors more than 16,000 bits of junk in Earth orbit – explains how manned spacecraft are shielded. Check out my January 1 litter here. These pups are shaping up very nicely with two males and one female left to sell at this time. United States and European military forces have bombarded Libya with cruise missiles and airstrikes as part of a broad international effort to enforce a UN-mandated no-fly zone. French planes fired the first shots on Saturday in the biggest international military intervention in the Arab world since the 2003 invasion of Iraq, destroying tanks and armoured vehicles in eastern Libya. Hours later, US and British warships and submarines launched more than 110 Tomahawk cruise missiles at more than 20 coastal targets to clear the way for air patrols to ground Libya''s air force. An unnamed US national security official said the air defences in the oil-producing North African country have been "severely crippled" by the barrage of missile strikes. In Aesop's fable about the tortoise's victory over the hare, a slow, steady approach trumps a fast and impulsive one. And when it comes to evolution — for bacteria, at any rate — a leisurely pace may also be the best strategy for long-term survival. Gus van Vliet of the Air Quality Division of the Alaska Department of Environmental Conservation works on a radiation detection monitor that is on the roof of the Floyd Dryden Middle School in Juneau, Alaska. Americans are being exposed to almost twice as much radiation as they used to get — but not because of fallout from nuclear accidents in Japan or elsewhere. 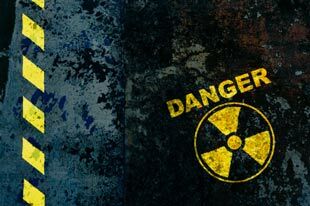 Medical tests, not nuclear accidents, account for the dramatic rise in our radiation exposure. Based on today's readings, the radiation coming from the troubled Fukushima Dai-ichi nuclear complex rates barely a blip. The Environmental Protection Agency said the readings from its nationwide network of atmospheric air-sniffing sensors showed "typical fluctuations in background radiation levels" that were "far below levels of concern." (You can check the updates on this Web page.) The initial U.N. radiation counts from California were "about a billion times beneath levels that would be health-threatening," one diplomat told The Associated Press. 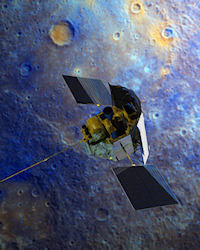 March 18, 2011: NASA's MESSENGER spacecraft successfully achieved orbit around Mercury at approximately 9 p.m. EDT on Thursday, March 17. This marks the first time a spacecraft has accomplished this engineering and scientific milestone at our solar system's innermost planet. The proportion of lenders’ deposits that must be parked with the central bank will increase half a percentage point from March 25, the People’s Bank of China said on its website. Photographer: Nelson Ching/Bloomberg. China ordered banks to set aside more cash for the third time this year, judging that inflation remains a bigger threat to the world’s second-largest economy than Japan’s earthquake and nuclear crisis. Reserve requirements will increase half a percentage point from March 25, the People’s Bank of China said on its website yesterday. The ratio will rise to 20 percent for the nation’s biggest banks, excluding any extra limits for individual lenders. Joan Nelson was presented with a birthday cake at a volunteer recognition function hosted by the Caroline Historical Society at the museum on Sunday, March 6. Verna and Chris Doll were presented with a plaque by Norman Rose (left) after having made a significant contribution to the Caroline Wheels of Time Museum over a period of many years. The presentation was made at a volunteer recognition function at the museum on March 6. Lyndsay Stange made it look so easy at the Caroline Skating Club's "A Night at the Movies" ice carnival on Sunday, March 6, in the Kurt Browning arena. Abigail Orphus really enjoyed herself during the number "Dumb and Dumber" skated with Makenzie Peppard. Devlyn Beeman and Megan Little rounded off the show, followed by awards and a Grand Finale. These members of Caroline 1st. Scouting enjoyed themselves during a skit put on for family and supporters at a function celebrating scouting hosted at the Legion Hall on March 6. Caroline 1st. Scouting Leader Linda Benz gave Scott Baker a pat on the back and a reward at a function in Caroline celebrating 107 years of scouting. The Caroline club has 24 members this year. and establish and define a Distelhorst Prize for Monetary Excellence by our September Conference. It's not over yet. Something big is going on in the Earth's crust. A series of earthquakes have occurred off the coast of Japan and one inland near Tokyo. The biggest one is calculated at magnitude 8.8 and can generate a tsunami of considerable magnitude. Watch for updates and use link below. This earthquake has just happened less than an hour ago. Another 7.9 quake hit just 24 seconds later. Holy smokes!! Most mainstream economists and media people seem to have managed to convince themselves that the good times are back: “We are in full recovery mode, just look at all the figures. The curves on all the charts are going up!” Indeed they are, just like they did prior to the 2008 crash in the markets. So, let’s follow the advice of economists and examine some charts and interpret the readings. With the exception of natural gas, commodity prices have been soaring over the last six months or so. Corn and wheat, for example, have virtually doubled in price (http://www.timingcharts.com/) and the pattern is similar for a lot of other essential commodities, including metals and oils. What this means is that it takes more money to buy whatever is needed for whatever purpose. In other words, each monetary unit has lost value in relation to what it can buy. And that goes for all of the world’s currencies, not just dollars, pounds or whichever. Governments try to hide this fact by selecting figures for inflation calculations based on items whose prices have changed relatively little. This basket of numbers is then used to create their published inflation figures. They are not telling outright lies, they are just spinning the picture for public consumption, making themselves look more competent than they are in controlling inflation in the price of essential commodities. So, why are prices going up? The reason is quite simple: The availability of cheap money to buy commodities fuels speculation. You can (with the right connections) borrow lots of money at a very low rate of interest, gamble on whether the price will go up (buy long), or down (buy short), and so play in the great world casino. The problem for those of us that buy the commodities off the shelf and actually use them is wild price fluctuations generated by all this gambling. The other downside is that money that should be available to entrepreneurs who provide real goods and services is diverted into the world gambling casino, leaving those that want to do something useful without the means to do so. That brings us to the present trend of universal price inflation of commodities. More and more credit money is being created right across the world, by central banks and the private banking system. The people that are getting their hot hands on this money are now beginning to loose faith in its enduring value, precisely because they know that the money presses are running hot, creating more of the stuff every day. So, wisely, they figure that commodities, whose volume is limited by physical factors (production capacity, weather, political turmoil (a-la the Middle East at present), etc.) is a better bet than instant fiat money created by the financial system. So they exchange one for the other as fast as they can. Net result: Commodities increase in price, or money is loosing value, depending on your perspective. The big losers are those of us that depend on fixed incomes from wages, salaries, pensions, investments and similar fixed income sources. And that is most of us. For the benefit of a few gamblers that couldn’t care less. "What for a poor man is a crust, for a rich man is a securitized asset class." -Futures trader Ann Berg, quoted in The Guardian UK. On February 22 fire broke out in a machinery shed across from the Legion Hall in Caroline. Several vehicles inside the shed were destroyed. The fire was contained by the the Caroline Volunteer Fire Department who stayed on the job for several hours into the evening. Supper for the fire crew was provided in the Legion Hall by local volunteers. The Caroline Champs vs. The Dignitaries. The Champs won, hands down. John and Roy Follis once again made their sled available on Family Day, February 21, for family hay rides behind the Caroline Complex. The two draft horses also enjoyed a pleasant winter day out in the sun and snow. Curling is a popular past time activity in Caroline in the winter with a world class ice surface allowing three pairs of teams to compete simultaneously. Younger people in the community are also being introduced to this sport. Hockey and figure skating takes place under the same roof on a different ice surface and together they all make the long winter appear to be shorter that it would otherwise be. "A" Event winners, standing: Sharyl Lyle, Todd Lyle, Shawna Bouchard, Brad Bouchard (Skip). Runners up: Donna Gustaw, Ken Bysterveld, Teresa Webb (missing), Mathew Rauch. Winners, standing: Dail Smith, Sharmane Hindbo, Shannon Befus, John Vandermeer (Skip). Runners up: Jackie Cullen, Brande Harder, Gerald Willsie, Ross Harder.